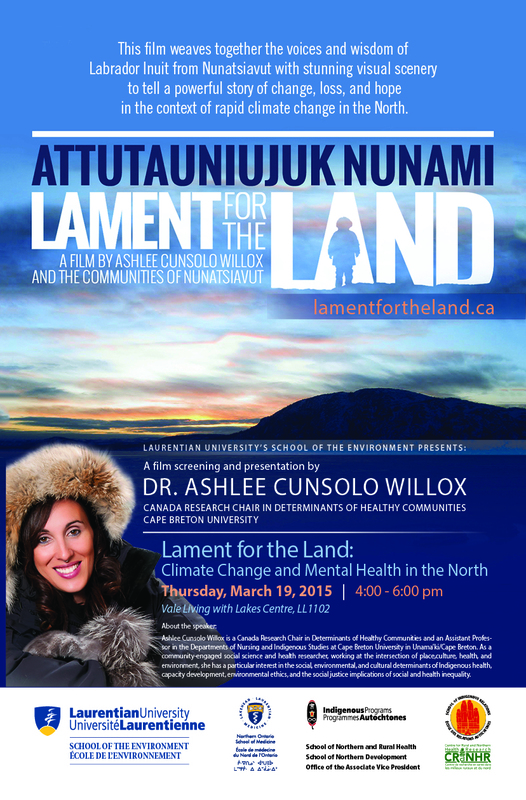 March is another great month for film screenings for Attutaunijuk Nunami/Lament for the Land. I’m pleased to announce two up-coming screenings happening this week and next. 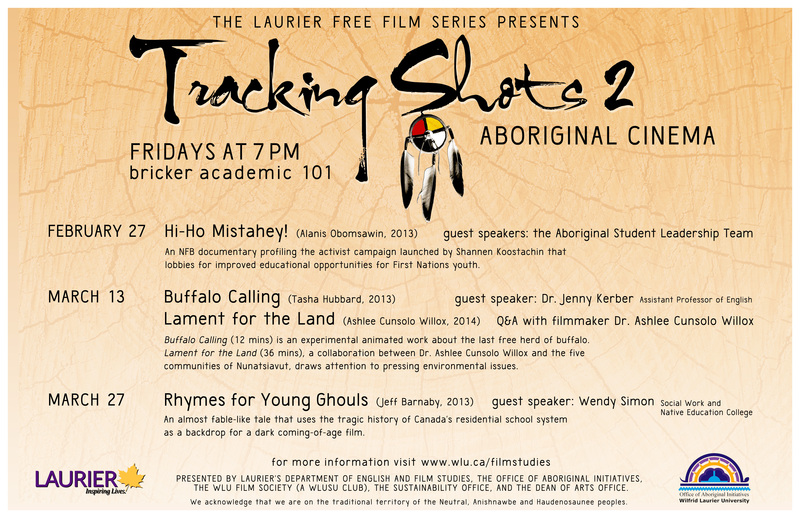 This Friday, March 13th, Attutaunijuk Nunami is being screened as part the Tracking Shots Aboriginal Cinema Series at Wilfrid Laurier University. While I couldn’t be there in person, I will be participating in a Q&A at the end of the screening virtually. If you’re in the Waterloo area, join us (see poster below). Next Thursday, March 19th, I have the pleasure of being hosted by the School of Environment at Laurentian University to give a talk and screen the film. If you’re in the Sudbury region, we’d love to have you join (see poster below).